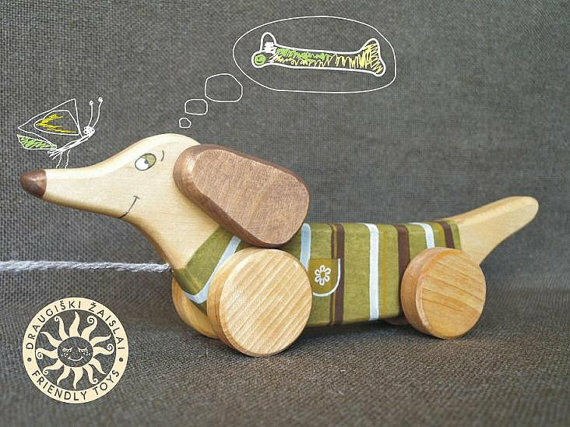 I came across the Friendly Toys' shop on Etsy and was instantly smitten. 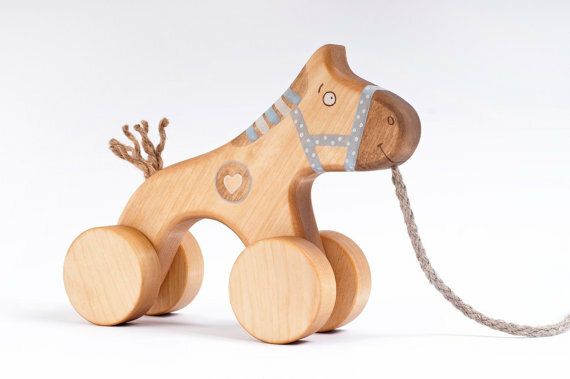 A husband and wife team located in Lithuanian are behind Friendly Toys. 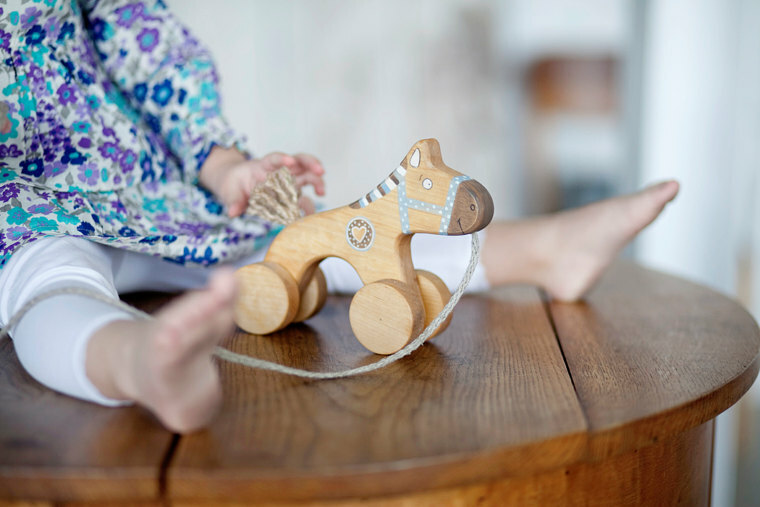 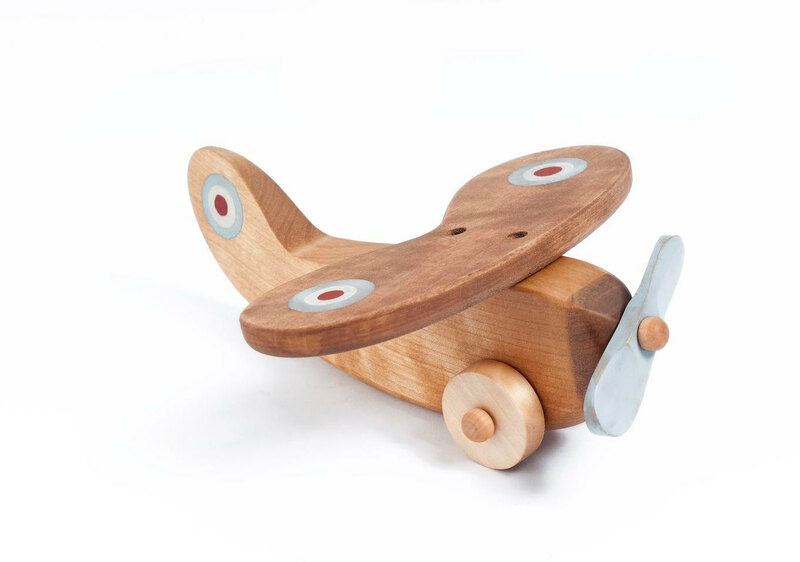 All materials used in creating these toys are 100% natural and biodegradable: Birch, natural "Milk Paint", linen strings and cold-pressed linen seed oil which has both, a natural scent and moisture protection quality. 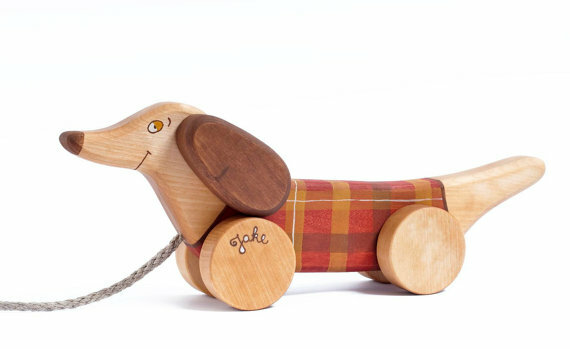 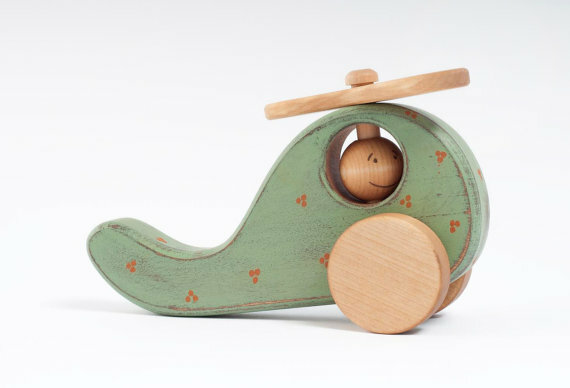 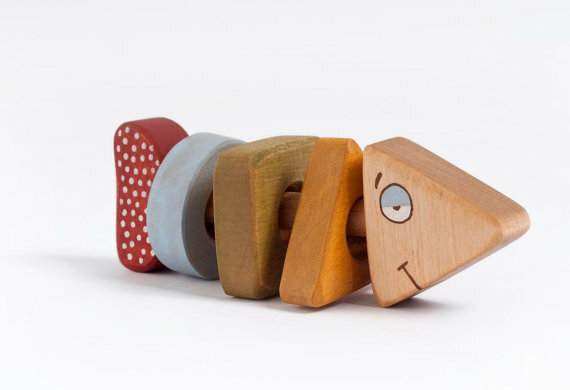 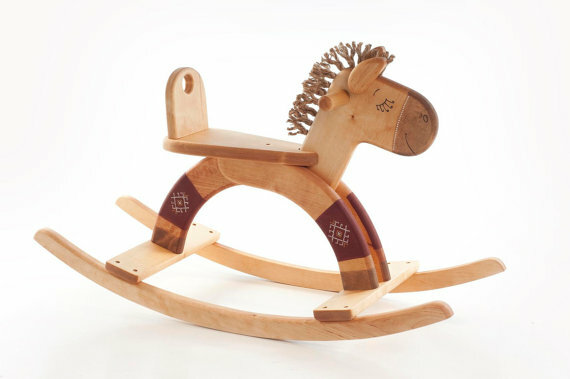 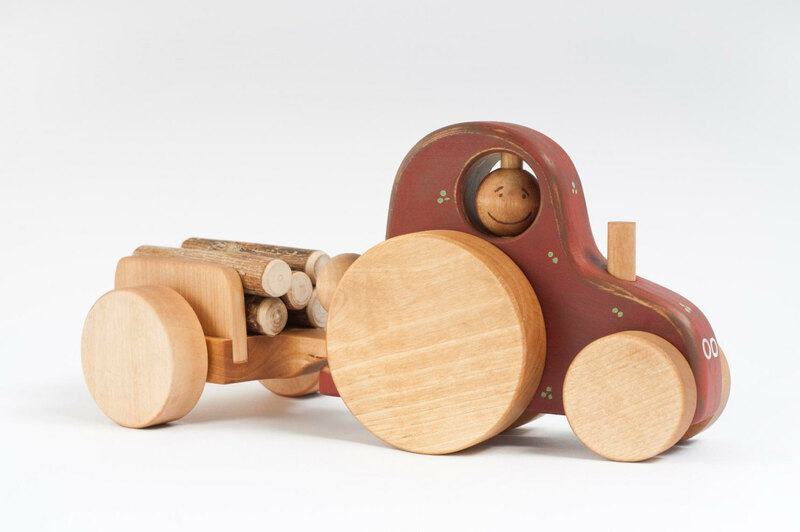 These handmade wood toys are so whimsical and have a sweet, heirloom quality to them that is so rare and precious.